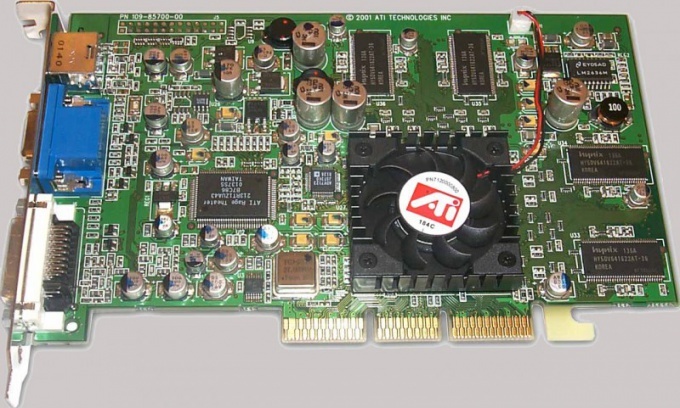 Video card is the device used to display the results of operation of the system unit. For it to work properly you need to install a driver is a small utility that helps the system to control the device. To find a driver for the video card, you need to know its manufacturer and model. Disconnect the computer from the power supply. Disconnect the interface cable from the monitor connector of the graphics card. Remove the side panel of the system unit by unscrewing the fastening screws. If you have an external video card, remove it from the slot akruti screw and squeeze the plastic clips that fix it. Usually on the video card write the model and name of manufacturer. If the graphics card is integrated, look for the motherboard model name. Replace side panel and turn on the computer. After booting the system go to the website of the motherboard manufacturer and look features integrated video card. - DEV (device) device numbers – code device. Go to the website http://www.pcidatabase.com/vendors.php?sort=name and enter in the field “searchvendor” manufacturer code. In this example it is 1002. After searching, the program gives the result: ATI Technologies Inc. / Advanced Micro Devices, Inc.